I often feel like a fish out of water at these events because my experience is not as a parent but as an advocate, trainer and scholar of the English writing system. I want to start by congratulating you all on all the accomplishments Decoding Dyslexia has made over the years. I have been around awhile and I always say that when I first noticed DDNJ and starting watching them on Facebook and then saw all the other branches pop and start making things happen I was in awe. 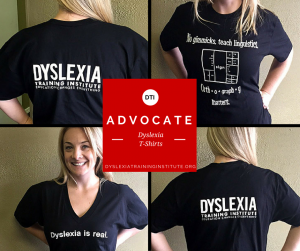 I saw more progress in 5 years than other organizations have done in the 20 years I have been involved in the dyslexia community. So, you have a lot of be proud of. I am also here to urge you not to think we have all the answers. I have heard the sentence “We know what works” several times over the last two days and many places before that and that really bothers me. I had to think long and hard about why it bothers me and I think I figured it out. I was raised by a rebel university professor. He is rebellious in that he doesn’t follow the herd. I have three sisters who are all rebellious in their own way. We have all tried to live just a little outside the lines of ‘normal’ with at least a touch of eccentricity and rebellion. I happen to think that is healthy. None of us accept what people tell us at face value. We investigate, we question, we argue and then we fact check. I am often stunned at the frequency with which people just take my word for things. I am here to encourage you to channel your inner rebel. Don’t be blinded by arbitrary accreditation standards made by those who are not fully aware of how the English writing system actually works. There is a lot of politics in those organizations being played that only create barriers for those kids who do not have the resources and support they need to be successful. We may know that OG works for reading (not spelling) but if we are to evolve, isn’t it important to consider that there might be something even better? If someone says something about another approach that does not fall in lock step with OG crowd isn’t it better to investigate, fact check and learn before rejecting. Do you know what happens if we don’t do that, we stagnate. Do you know who pays the price, our students. So continue to evolve. Have conversations with those who have information you do not, even it makes you uncomfortable. It is your obligation and your duty to make sure you have uncovered all the possibilities. Our teachers know that one-size-does not fit all because they have worked with more than 5 students. I will share a story to illustrate my point. Five years ago, I was a die-hard OG or bust person and I mean die hard. I was manning DTI’s booth at the IDA conference in Baltimore and I was listening to Gina Cooke and Peter Bowers in the booth next to me talking about the English writing system. The first day I just thought they were snake-oil salesmen and shame on them, OG is the end-all be-all. By the middle of the second day, as I watched person after person come to their booth with wonder in their eyes, I knew they couldn’t all be wrong. So, I asked Peter to show me what he was talking about. We had a cocktail napkin and he asked me to give him a word that I thought was crazy. I gave him the word <sign>. In less than 1 minute he had not only showed why there was a <g> in <sign> but also showed me that there was so much more to learn. I had not found the golden ticket in OG, it was a stepping stone to Structured Word Inquiry. I was stunned. Quite frankly I was pissed after so, so, so much training that no one had showed me that previously. So, I went back to San Diego and proceeded to train my staff in SWI, they all pushed back on me. It was uncomfortable for them to learn everything that was misrepresented in OG. Fast forward five years, they are all emphatically on board and couldn’t imagine going back. Do we still train people in OG? Yes, because if we didn’t there are too many kids who would get nothing at all. But I now know better, so I have to do better. I am sending out a call to action to you all: do not be blinded by what has been working, but be motivated by what could be and do your due diligence before rejecting anything. Be mindful in your legislation not to back yourself into a corner with a one size fits all mentality because I can assure there are plenty of kids who need something different – then what are you going to do? 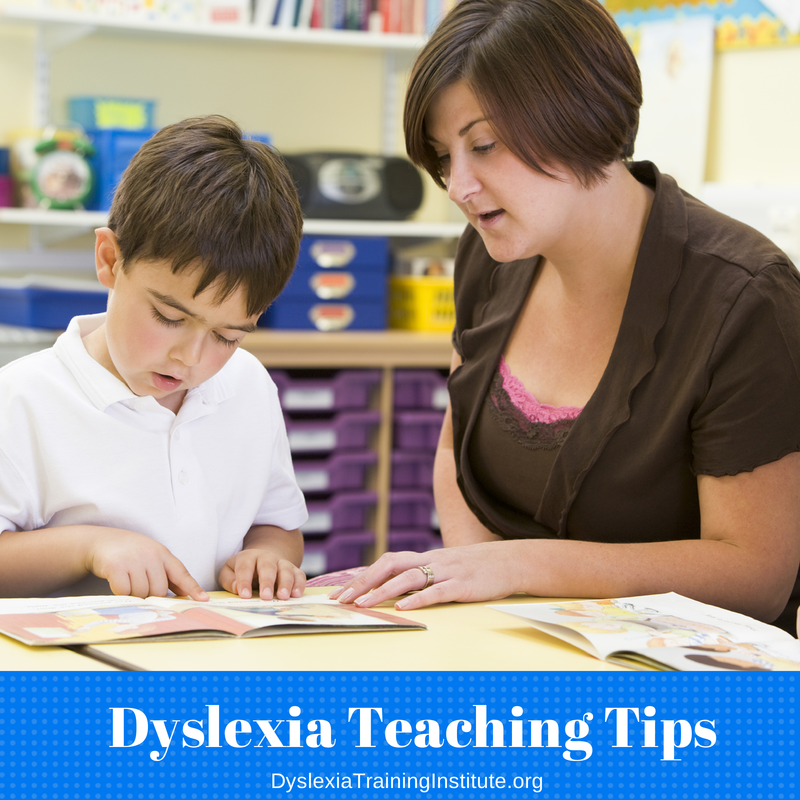 Lastly, I started my work in the adult literacy world where I met hundreds of adults with undiagnosed dyslexia who did not fare so well. Not one of them ever told me they were glad they had dyslexia or that they would wish it upon another, especially their own children. I am here because I am fighting for them. I am trying to prevent young kids from becoming an adult literacy student who is crying at my desk. So, please keep the passion and the scholarship going. We still have progress to make in both intervention and advocacy. 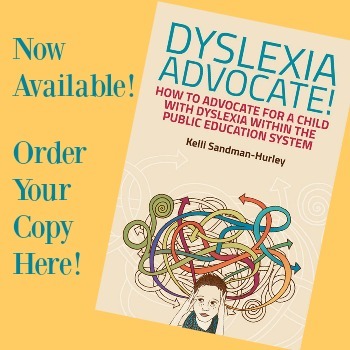 This entry was posted in Advocacy, Dyslexia on June 29, 2017 by Dr. Kelli Sandman-Hurley. Thank you Dr. Kelli! I couldn’t agree more! Every child is different, and we have to be careful not to back ourselves into a one size fits all scenario. I also agree that not all dyslexics have special talents, and I would be willing to bet that most of them would trade it in at some point if they had had a chance. I agree. When I talk to people and they think OG will solve everything, I have more questions for them: Does your child have a visual processing problem? Have you tested them for convergence insufficiency? Because my research into optometry showed that vision therapy as a “cure” for dyslexia is snake oil, but many kids with dyslexia also have convergence insufficiency and there is evidence that vision therapy works for that. Vision therapy didn’t teach my daughter to read but it allowed her to copy of the board and ended her reading migraines. Memory problems? ADHD-like symptoms? Does your kid have sleep apnea? Because sleep apnea is frequently confused for ADHD and either will frequently go hand-in-hand with dyslexia too. Addressing sleep apnea and vision problems dramatically improved my daughter’s quality of life in ways OG or SWI never could have. Never stop researching and learning! Yes I agree with Cathy. Every child is different and problems can be more dangerous in this case so we should be careful regarding this.